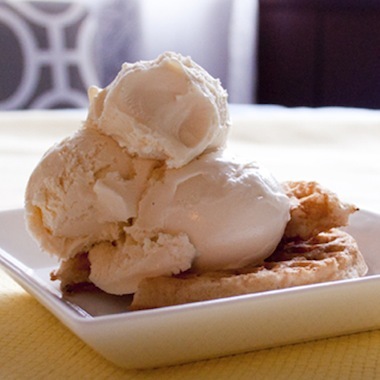 Make this recipe gluten-, sugar- and dairy-free by simply subbing gluten-free waffles, coconut-milk ice cream and your favorite sugar alternative. Place shucked berries and water in a covered sauce pot on medium-high heat until they begin to bubble. Add sweetener and turn heat to low. Simmer 20 minutes or until fruit is soft enough to mash. 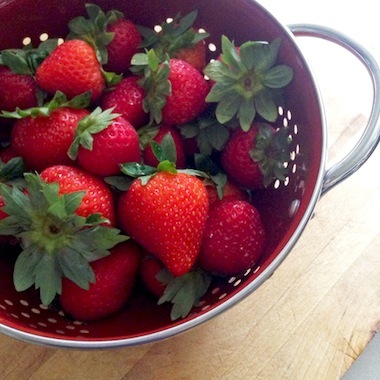 Mash the berries with a fork until they reach a jam-like consistency. For a smoother texture, emulsify the mix in a blender. 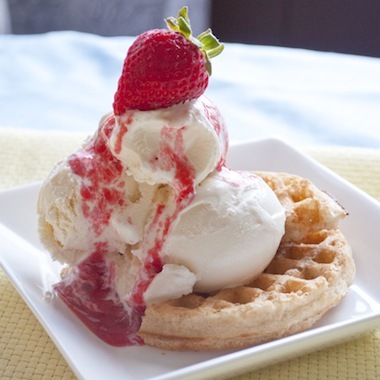 Let the compote cool and pour over an ice-cream-topped waffle. Leftovers make a fresh and fruity sauce for French toast or pancakes. 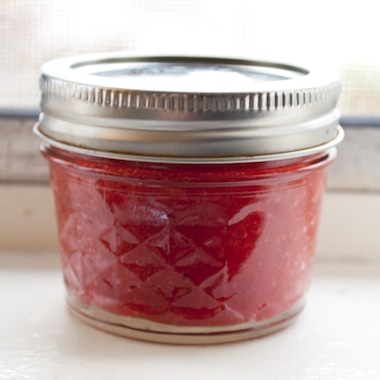 Or double the recipe and jar the extra, for a homemade gift of strawberry preserves. For an extra decadent sundae top it all off with our salty caramel almond-sprinkled dipped berries.